I’ve been reading the comic Questionable Content for several years now. I love his crazy characters (of all sizes), references to an indie music scene I am no part of, and incorporation of AIs into daily life. Back when the phrase ‘YOLO’ (You Only Live Once) was at its peak and obnoxiously everywhere, the creator of the comic (Jeph Jacques) made his own version: ‘You Obviously Like Owls’. The t-shirt can be found here. My manicure in honor of this timeless phrase, well, that’s the subject for this ABC Challenge. Hahahha “you obviously love owls”. I love it. 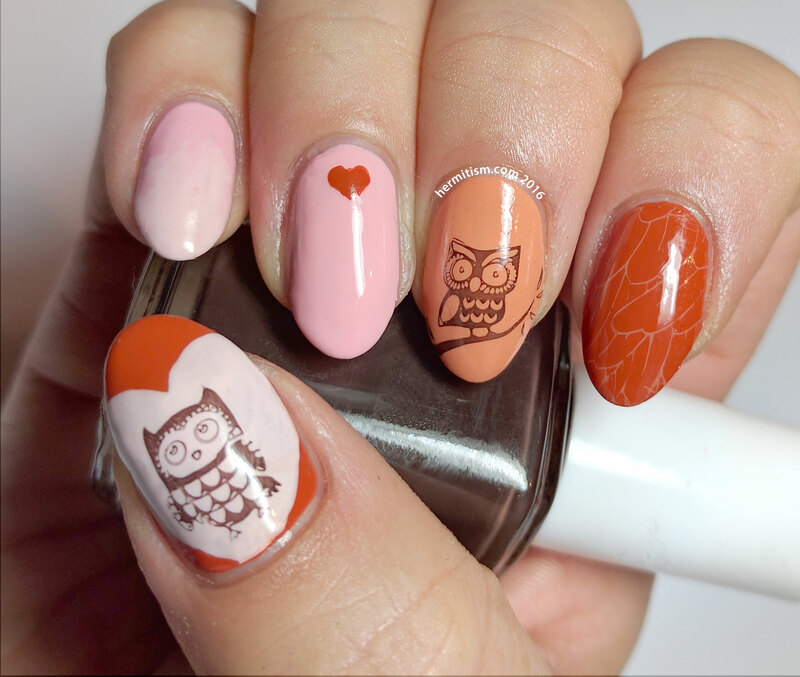 And your mani is sooo cute! 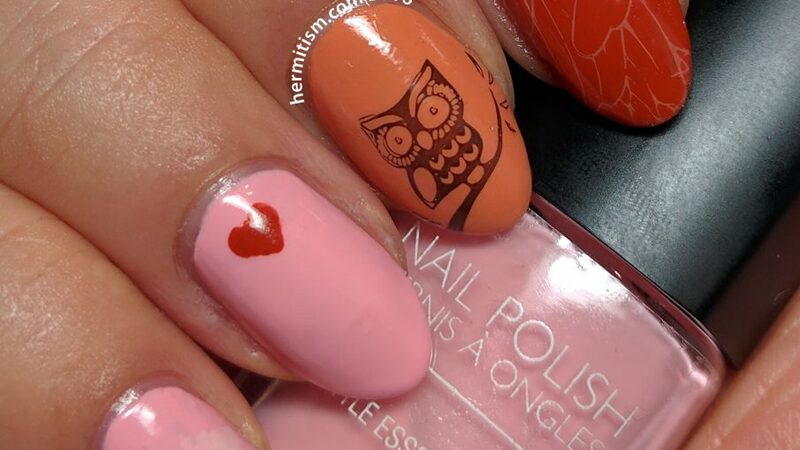 I love how you created the heart frame for the owl on your thumb, and the tiny little heart on your ring finger just pulls everything together in such an adorable way!